The Festa del Cavatore (Quarrymen’s Festival) at the beginning of June, recalling the mining origins; the Leggenda dell’Innamorata, (Legend of the Fiancés), the summer event remembering the Saracen raids, and the most anticipated event dedicated to the myth of Bacchus, the Festa dell’Uva, which is celebrated just after the grape harvest. So let’s look at the features of this early October appointment. 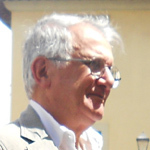 Capoliveri’s Grape Festival, as Dr. Danilo Marfisi, President of the European Confederation of Historical Festivals, recalls, is unique in Italy and perhaps even in Europe. On the occasion of this annual folklore event, the town undergoes a radical transformation. 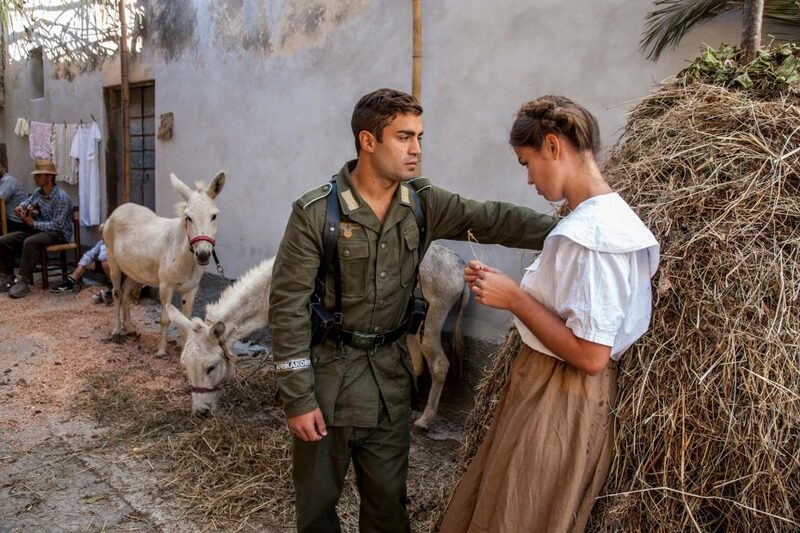 Dozens of volunteers, supported by the Municipal Tourist Information Office – Pro Loco, organised by the ward leaders and skilled directors, transform the four districts, Baluardo, Fortezza, Fosso and Torre into a traveling stage and every neighbourhood becomes a small Cinecittà. The medieval streets, squares and every part of Capoliveri change entirely appearance, inspired by a chosen historical theme. How can we not remember the 1959 event during the year of the miners’ strikes and when Sandro Pertini, then a deputy, returned to the island where he had been detained for his anti-fascist stance in the 1930s? Wonderful also, the setting that brought visitors in 1882, when phylloxera compromised the harvest. And how can we not remember the war period or the time Coppi, the Italian cycling champion, spent the summer on the beach at Straccoligno. Taking part in the Grape Festival will offer you a fascinating experience of bygone years. 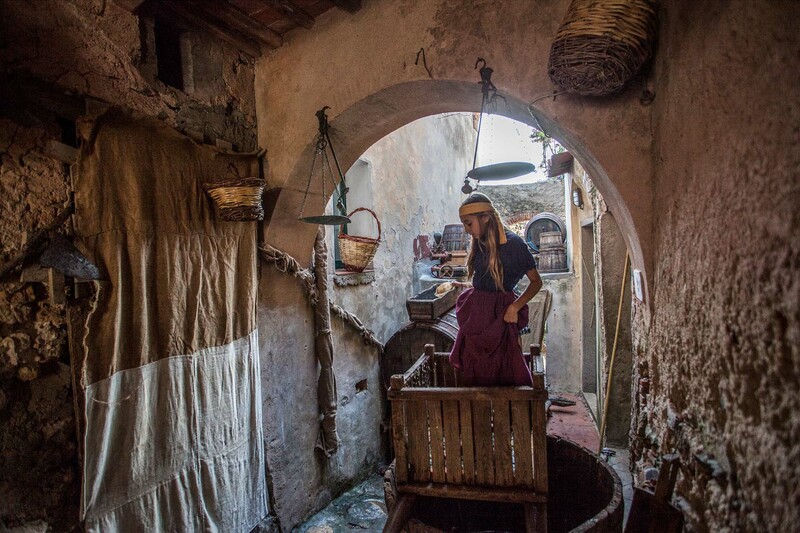 In the company of thousands of visitors, you’ll see the traditional trades and crafts, the cellars, the market, the women who once quarrelled in the courtyards and the many children playing. 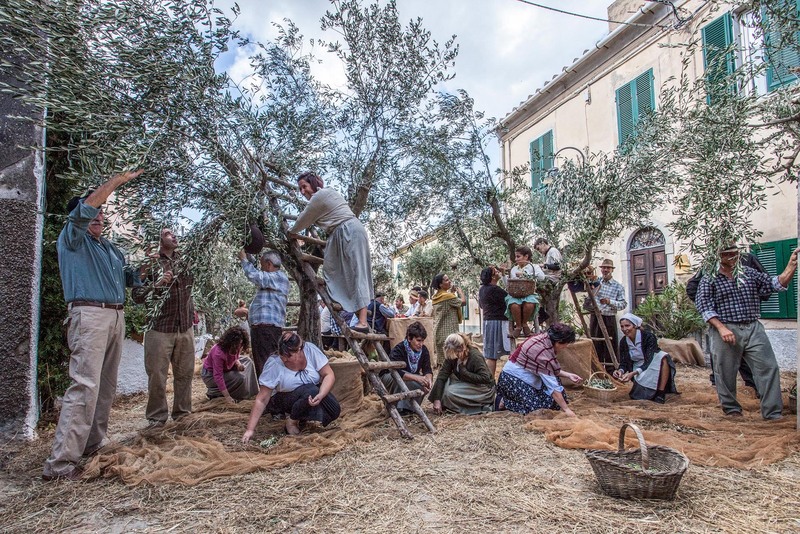 Each year, various themes are staged during the Festa dell’Uva, thanks to the invaluable contribution of popular stage designers, extras, actors and talented housewives, to whom goes the merit of creating the wonderful period costumes. On the Sunday morning of the event, the 4 districts parade for the public in Piazza Matteotti, an early hint at the historical themes that will transform the village. The parade, often accompanied by music, song and dance and acting, and is judged by a panel of five specialists and a notary, who decide the winners. After 3pm you can enter the 4 districts, Baluardo, Fortezza, Fosso and Torre, to admire the stage sets and enjoy bygone enogastronomy, including the precious DOC island wines lead by the famous Aleatico. The winner is announced at 6pm, at which point everyone explodes with joy and the festivities, singing and dancing continue into the night. The winning Contrada-members carry their prize, the great statue of Bacchus, through the streets of their district. It’s one thing reading about the festival and another experiencing it first hand. So why not treat yourself to a weekend break on Elba? If you’re travelling alone, this will be a great opportunity to make new friends. The Festa dell’Uva welcomes people from around the world; walking through the districts during the Sunday event is fun and you’ll meet many people. 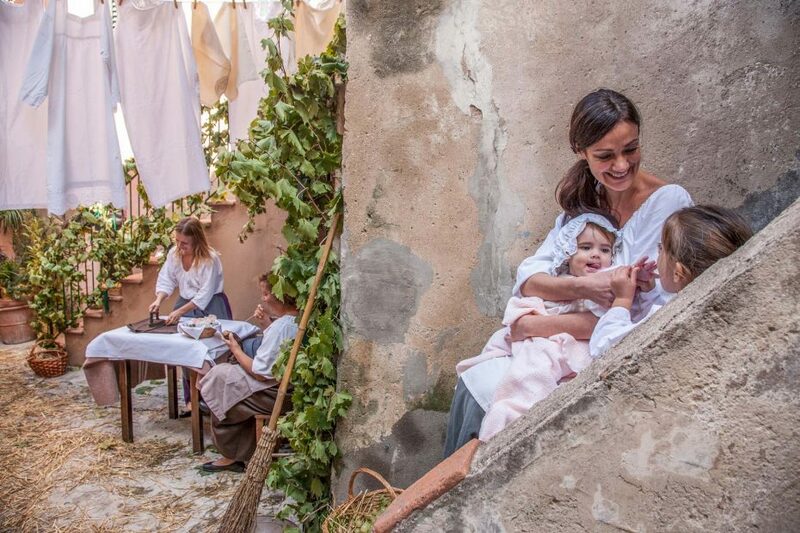 Stroll through the streets of Capoliveri during the Sunday event and take photos in the picturesque, panoramic and incredibly romantic settings that the village offers. Manoeuvring pushchairs during the Grape Festival celebrations is a challenge. If you have very young children, a baby carrier is best for moving around more easily. Our thanks to Stefano Bramanti, reporter from the “Messaggeri del mare”, journalist for a number of local publications since 1993 and 36 years experience as a middle school teacher on Elba, for accompanying our journey through the districts of the Festa dell’uva.